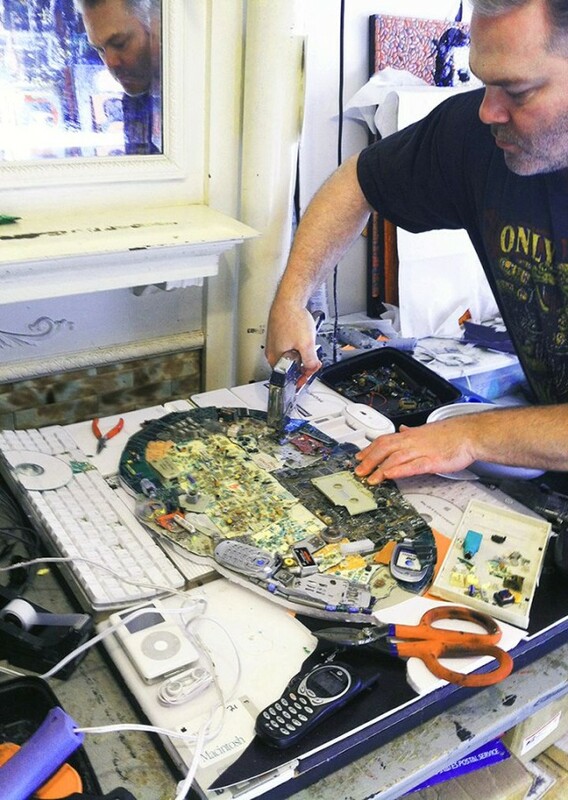 San Francisco artist Jason Mecier has just unveiled a new portrait of Steve Jobs, composed entirely out of e-waste. 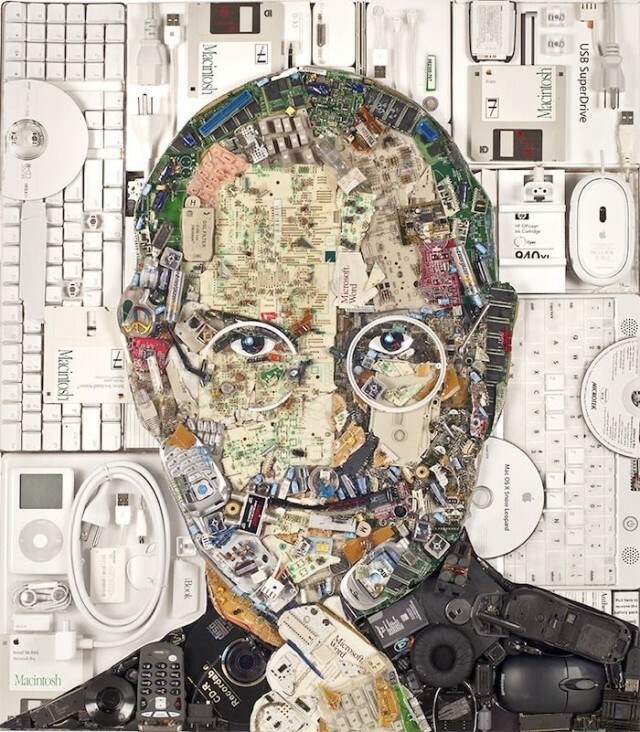 Created using 20lbs of electronic waste — including cell phones, iPods, headphones, Mac keyboards, CD-Rs, batteries, mice, and memory sticks — Mecier’s portrait is a meticulous recreation of the iconic 2006 Albert Watson photo of Jobs originally commissioned by Fortune magazine. The original image was most famously used for the hardcover jacket of Walter Isaacson’s 2011 Steve Jobs biography. His other creations include painstaking reproductions of celebrity likenesses including Stevie Nicks, David Bowie, and Snoop Dogg.